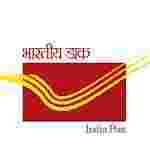 India Post recruitment 2017 notification has been released on official website www.indiapost.gov.in for the recruitment of 16 (sixteen) for Staff Car Driver vacancies. Job seekers should apply on or before 22nd January 2018. Here on this page you will get the details like the Name of vacancies released by India Post with exact number of posts. Some other criteria like Education details, application fee and way to apply application for India Post recruitment 2017. Educational Qualification: Pass in 10th Standard from a recognized Board or institute or Possession of a valid riving license for lights and heavy motor vehicles or knowledge of motor mechanism. Age Limit: The age of candidate should be between 18 to 27 years as on 22.01.2018. Interested and eligible aspirants should apply in prescribed application form along with attested copies & two copies of recent pass port size photograph send to the Manager, Mail Motor Service, 134-A, S.K. AHIRE MARG, Worli, Mumbai – 400018 on or before 22.01.2018.